Creamy moisturiser for youthful, healthy-looking skin. Power up your skin's youthful beauty with our award-winning¹ moisturising cream. 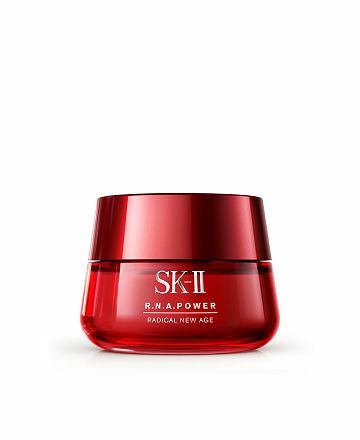 Packed with nourishing ingredients, R.N.A.Power Radical New Age improves suppleness and elasticity for a youthful, healthy-looking complexion. "Start now and be ready for the future. The next ten years? Bring it on!" 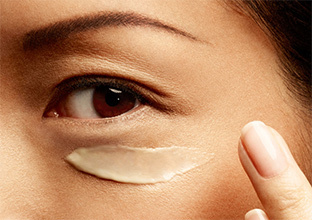 "RNA cream looks heavy at first glance, but it stretches smoothly and moisturises your skin well. When I touched my skin after I woke up, I felt softness as well as firmness." "RNA Cream is not too oily and feels fresh on the skin, so it’s great to use even in summer." Keep your skin looking youthful and healthy. Is your skin not as resilient as it used to be? 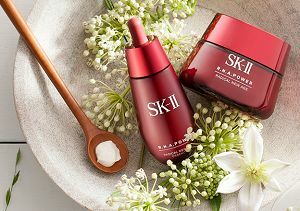 SK-II's new discovery² has revealed that your skin energy starts declining in your 20s, making it harder to get your skin to look its best. R.N.A.Power Radical New Age powers up your skin to improve uneven texture and fine lines caused by dryness so you can have youthful, healthy-looking skin. ²Based on an SK-II clinical study (CT17-012F) conducted in Japan in October, 2017 with 40 females aged 20-22 and 27-29. Formulated with a complex of concentrated PITERA™, hydrolysed soy protein, and hydrolysed yeast protein to nourish intensely for youthful, healthy-looking skin. Reduces appearance of fine lines due to dryness. Moisturises skin deeply and improves natural glow. STEP 1 Take a pearl-sized amount of R.N.A.Power Cream. STEP 2 Use fingertips to dot on forehead, cheeks and chin. STEP 3 Spread it softly from the centre outward, across entire face.